Is your home or business suffering from a leaky roof? Are shingles loose? 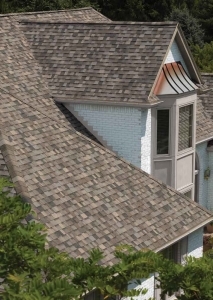 The experts at Clarkston Roofing Professionals can help with all your roofing concerns. Our team has the skills and experience to fix any roof damage. 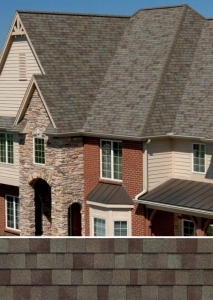 We only offer the highest quality shingles to our customers. We believe in providing the best quality product for your home to improve its value. These shingles can withstand winds up to 130 MPH. Our team not only can install premium roofing systems, we also have the expertise in restoration services. When you work with us, we will provide a no-obligation inspection. During this process we educate you on the repairs you need and work with your insurance company through the whole project. At Clarkston Roofing Professionals we proudly offer the best and lowest price on Owens Corning products. These shingles are the best you can get in the market - guaranteed! We only want what's best for our customers and will continue to provide quality products and service to the Southeast Michigan area. If you have a new construction in the works, or simply wanting to replace an existing roof, you know who to call - Clarkston Roofing Professionals get the job done right! Our team truly values what our customers have to say about our services. Take a look at some of their experiences and let Clarkson Roofing Professionals be the ones to fix your problematic roofing system. I contacted Josh in the Fall about my roof. He was very professional on the phone, and I knew right away that I was very comfortable by the way the conversation went. He called me an hour before our scheduled appointment to say that he was on his way. When we sat down and talked, he explained the whole process on how the insurance company worked and answered my questions for half hour. We ended up contacting another roofing company prior and they ended up being $5,750 over. Josh and Tony contacted me during installation and after to make sure I was satisfied with everything and if I had any questions. Josh and Tony not only said what they were going to do but they did it ahead of schedule and cleaned up everything in my yard as well. They even walked around my entire yard, not just the perimeter with their magnetic strip looking for nails because I have small children. They also gave my dog water when he was outside, so that was a bonus for me. I have recommended them to all my friends and family because they not only took care of my roof, but also had my kids and dog in mind. At the end of the day, what more could you ask for? Get your roofing problems solved with the professionals at Clarkston Roofing, Oakland County MI's trusted Roofing Contractors. Give us a call today for a free estimate on your home or business!